From wasting crawl budgets through to diagnosing fetch and render issues with Googlebot, you can read my insights on various elements of technical and not-so-technical SEO here as well as thoughts and opinions about working remotely as an SEO specialist and digital marketing consultant. I'm always open to feedback and other blog post ideas - you can get in touch with me on Twitter or just send me a message here. Once you've taken a look at my blog posts you may also like to read up about my PPC and SEO services that I offer remotely. 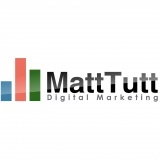 You can also read more about me and my own background in digital marketing on my about me page.